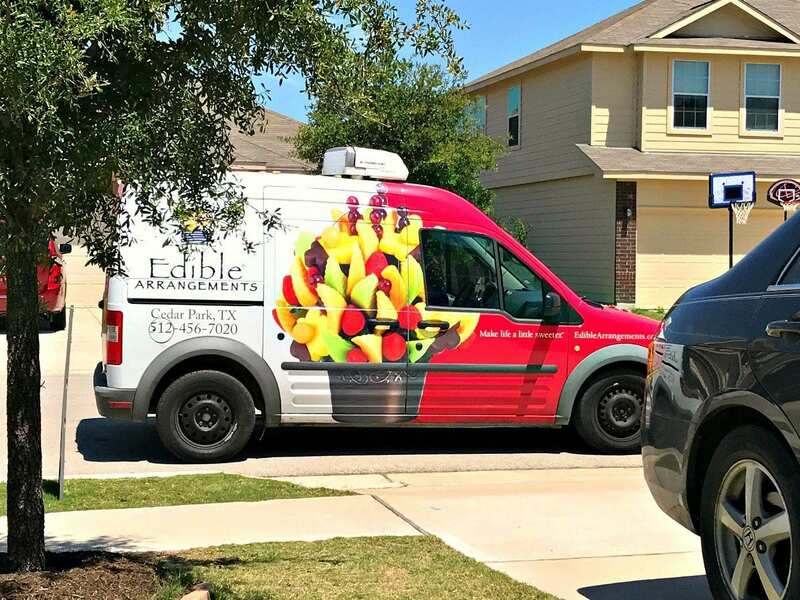 This is a sponsored post written by me on behalf of Edible Arrangements. All opinions are 100% mine. 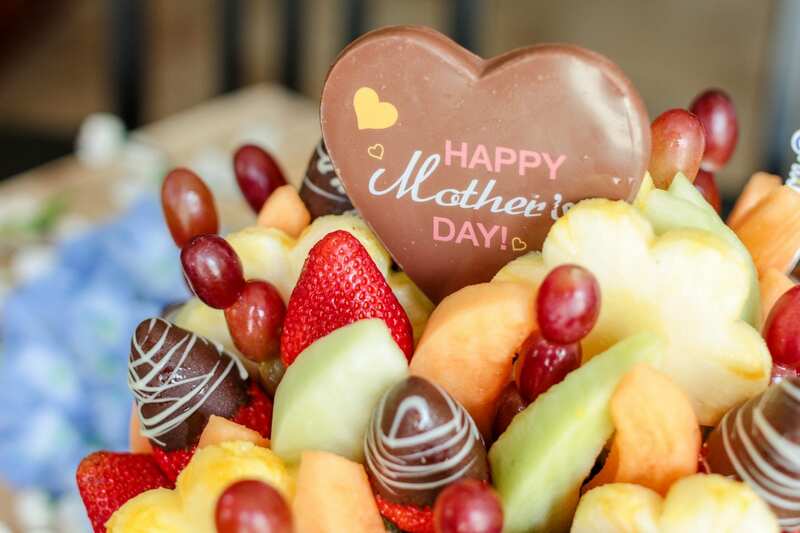 Do you know a mom who would says she doesn’t want anything this year for Mother’s Day? I have just the idea. Keep reading for details, plus a coupon code just for Mom Fabulous readers. Since announcing that we sold our house and are traveling for a year, I’ve had so many conversations with moms about a topic near and dear to my heart: simplifying. The need to simplify has been a topic thrown around our house for a few years now, but fear and the unknown has kept us from doing something about it. Until this year. If you’ve ever had the feeling that your house, your stuff and your schedule are suffocating you, you’re not alone. It truly is a topic that’s spreading like wildfire and many moms are doing something about it. From major decluttering sessions to downsizing their home, families are desperately trying to gain back control over their lives. I have a friend who’s also been embracing the need to simplify along with me. She got to the point where her kids’ toys, the never ending laundry and piles of dirty dishes, plus their schedule of running kids to all of their extracurricular activities has brought her so close to the breaking point, she started having panic attacks. She finally realized she was missing out on everything life has to offer and was spending more time stressed out, than enjoying motherhood. So she asked herself one question: what can I change that’s in my control? The answer? Clutter. Physical clutter. Schedule clutter. Emotional clutter. It was time for a change. Oh, how I can relate! Can you? She mentioned one of the hardest things has been reactions from family and friends when any sort of gift giving holiday arrives. Comments like ‘I would get you something but you’ll probably just give it away‘ started to sting a little. It’s not that she doesn’t appreciate receiving gifts anymore, it’s that she’s become more aware of what she allows into her home. Our conversation about gift giving and receiving has been rolling around in my mind since we had it. You see, this friend of mine has been going through a tough time and I want to show her I care. I want her to know she means something to me and I want to honor her for the amazing mother she is. But she says she doesn’t want anything for Mother’s Day. Well, I have the perfect gift idea. It’s something she loves. It’s something she can share with her family. (If she wants to.) It’s something that says I care. It’s something I feel good about giving her. Have you ever received something from Edible Arrangements? I have and it always brings a huge smile to my face when receiving it. 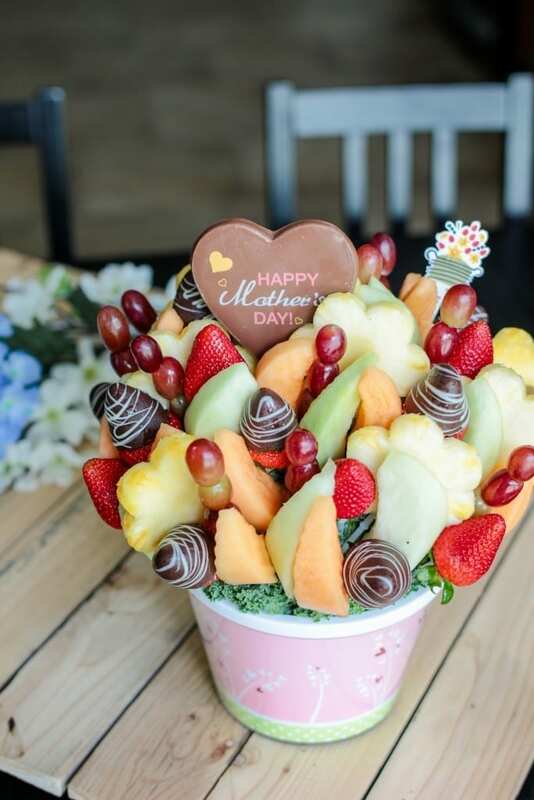 Who wouldn’t want chocolate covered strawberries, a Gourmet Belgian chocolate pop that reads “Happy Mother’s Day”, Pineapple daisies, fresh cantaloupe, honeydew, and grapes? Sounds amazing right? 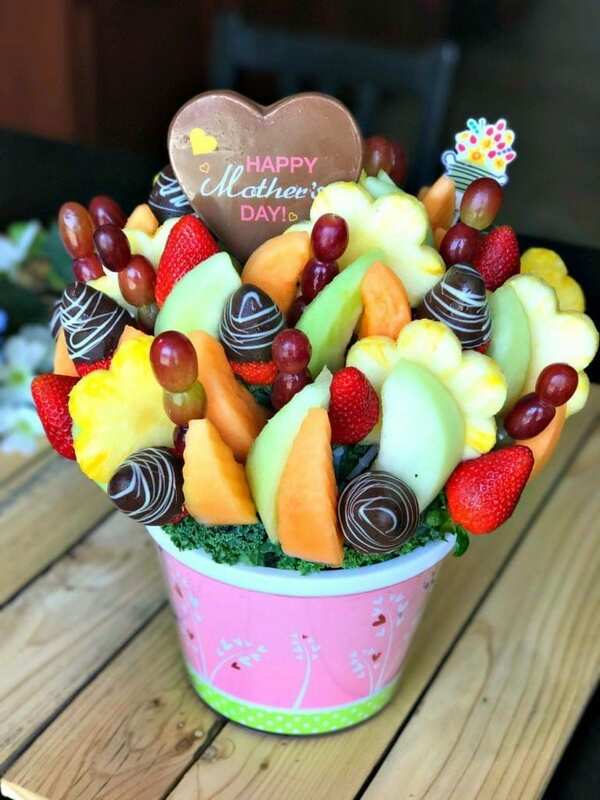 That’s what their Mother’s Day Swizzle Bouquet® includes and let me tell you, it’s one of the best Mother’s Day ideas for the mom who says she doesn’t want anything. I was in my office working when the doorbell rang. I peeked out the window and saw this cute little van parked outside. And then he handed me this with a smile. If you order by 5/11/17, you’ll receive 20% off $65 with code BLOG5173. 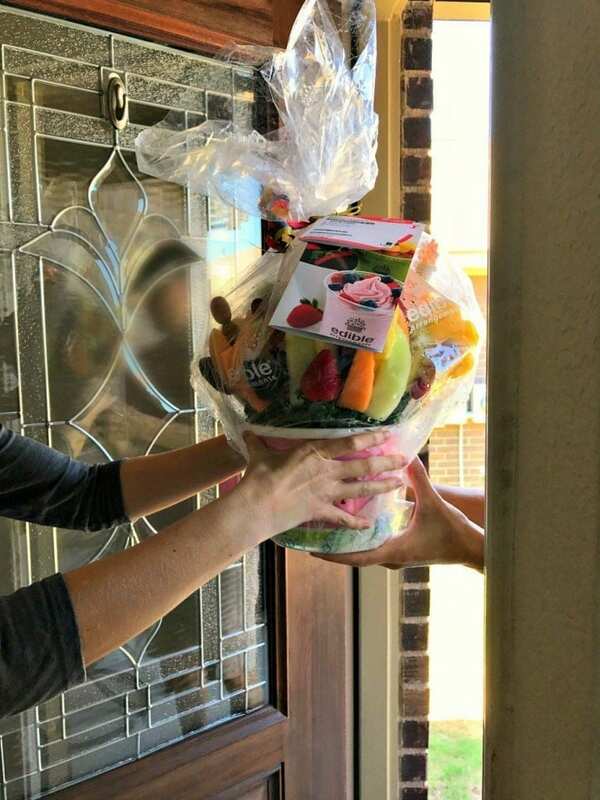 If you’re a procrastinator (like myself), you’re in luck because Edible Arrangements® offers same day delivery, even on Mother’s Day! There are so many different cool Mother’s Day gifts they have to offer. Visit their site today, pick something for that special mom in your life and save 20%! I want to wish all of you moms a very special and Happy Mother’s Day! Previous articleHow to Wear White Jeans in Summer + Outfit Ideas to Copy!